Stray Chords is the Rowe family band, based in Harrogate, in North Yorkshire. The band plays lively traditional folk dance music from the British Isles and USA, for barn dances and ceilidhs. They also play for English folk dance and American contra dance clubs. All the band members enthusiastically enjoy dancing as well as playing and this means they really understand both sides of how to create great dance music. Philip and Joyce Rowe form the mainstay of the band. Their sons Benjamin and Joshua join them occasionally and otherwise one of a selection of regular guest musicians make it up to a 3-piece band. Philip Rowe leads the band on accordion and fiddle and arranges all the music. He has been playing for folk dance since he was a young child. Best known as the founder of Knotted Chord, he also ran a young musicians band 'Rhubarb Sandwich' for 10 years that became very well known in the Harrogate area. He plays piano for American contra dance and also plays viola and double bass. He is frequently in demand as guest artiste for several other Harrogate-based bands, is deputy leader of Harrogate Symphony Orchestra, and plays cello in Harrogate Philharmonic. During daylight hours, Philip works as a computer software developer in the world of finance and accountancy. Joyce Rowe is the daughter of David Bradley, accordionist and leader of the Mixolydians, and of Ann, tea chest/electric bass player and caller. Joyce was thus from an early age exposed relentlessly to the world of folk dance and music and took up the fiddle when in junior school. In the past, she has played with the Mixolydians, with several variations on family bands and occasionally with David Pattenden's former band 'O Yez', as well as a brief spell as a musician for Touchwood Appalachian, with whom she also danced for some years. (She is also a clog dancer, though very out of practice.) Joyce has also played with Knotted Chord since 1989. Stray Chords works with a variety of local callers who teach the dances at our events - but most often with Tony Whitehead. 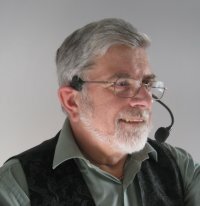 Tony is one of the most experienced Country Dance callers in the Harrogate and Knaresborough area of North Yorkshire. He started dancing at University (which was a long time ago!) and calling soon after. Whether it be the graceful dances of the 17th and 18th Century or more modern Ceilidh dances, he provides clear instructions to the dancers regardless of their ability. From costume balls for experienced dancers to hoedowns for absolute beginners, he ensures a good time is had by all. Tony calls with several of the local bands. Joshua Rowe now lives in Sheffield but joins us when he can. 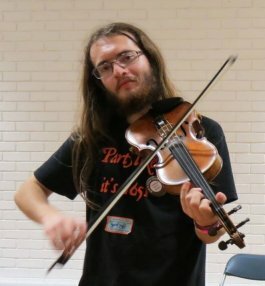 He plays mostly guitar and electric bass but also violin and concertina. He had several years as a regular member of Knotted Chord, and made guest appearances with several Harrogate ceilidh bands, was the bass player in Rhubarb Sandwich for some years, and also has a background of playing bass and tuba in concert, jazz and dixie bands. 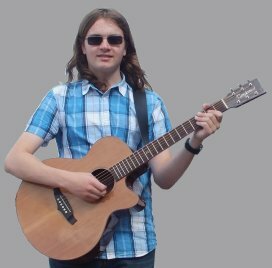 Benjamin Rowe currently lives in Coventry and plays regularly with Contrasaurus but joins us occasionally. He is a hugely talented violinist and composer. 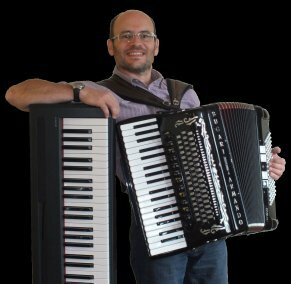 He played with Rhubarb Sandwich Ceilidh Band from the age of nine, also plays occasionally in Knotted Chord and is regularly in demand as a freelance musician with several other bands.